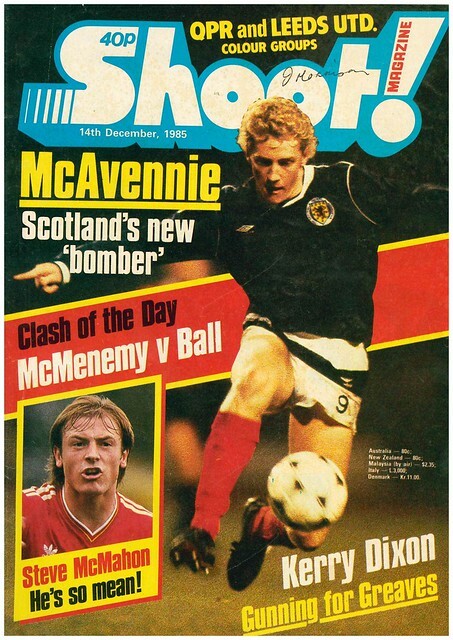 Frank McAvennie is the cover star of this week’s edition of Shoot, having just broken into the Scotland team. 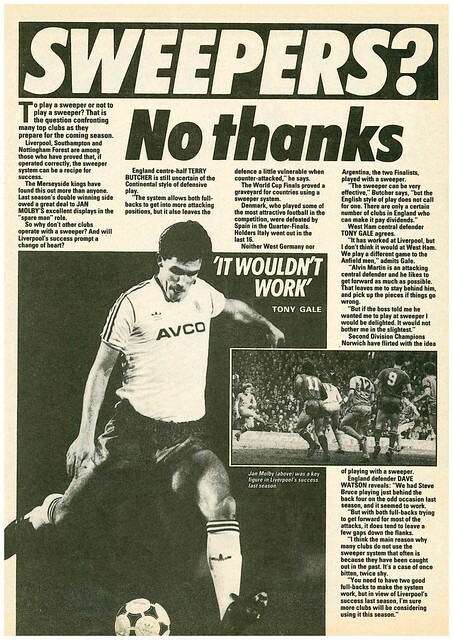 As you open the magazine, Shoot has a double page feature on Kerry Dixon, where it is revealed that Spurs turned down the chance to sign him. 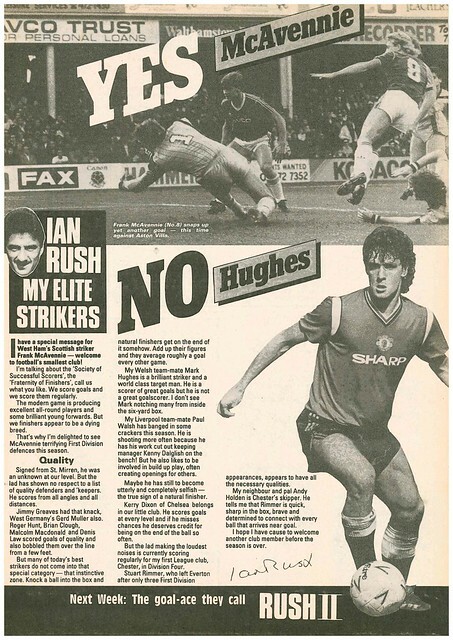 Garry Birtles is interviewed, having just been converted into a central defender, and is loving it, despite the fear of giving away a penalty. 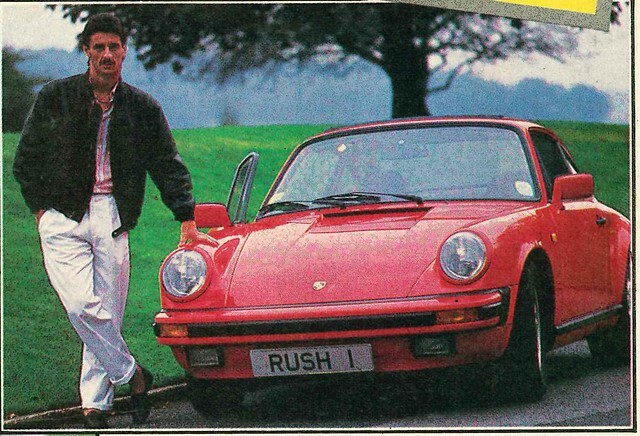 Terry Gibson tells Shoot that he does not expect Manchester United to win the league, which will have been awkward when he signed for United later that season. The IFA have stated that they expect to make £250,000 from their appearance at next year’s World Cup in Mexico. 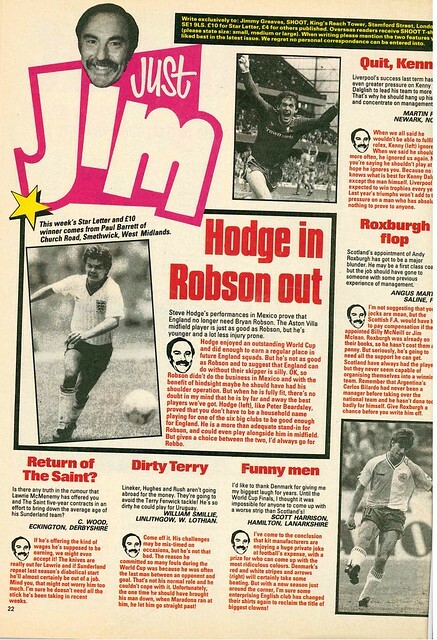 There is continuing talk of a Super League in English football. 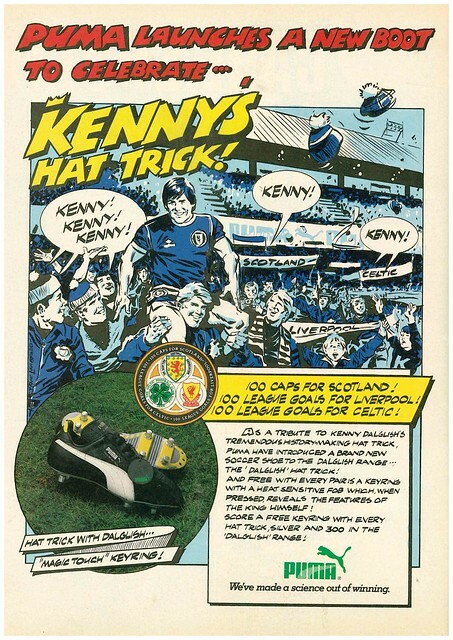 Shoot asks various football stars about the way forward. 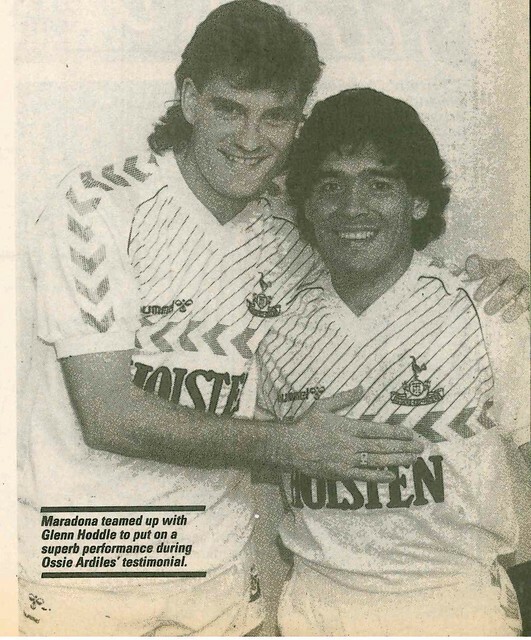 Gary Stevens (the Spurs one, not the Everton one) suggests games on Sundays, Don Mackay of Coventry wants 6 divisions of 16 teams, while Mark Hughes wants less games. 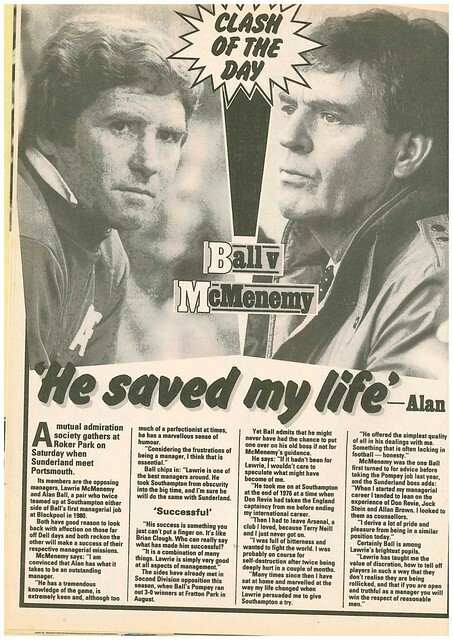 Sunderland v Portsmouth is billed as the big game of the weekend, and Shoot focuses on the mutual admiration between respective managers Alan Ball and Lawrie McMenemy. 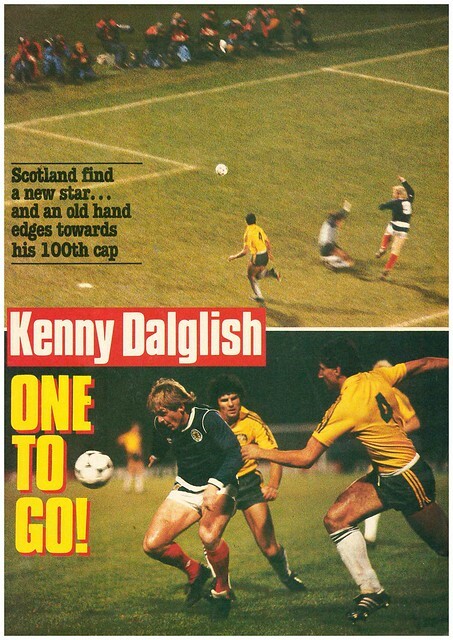 Scotland’s World Cup Qualifier against Australia gets a double page spread, focusing on Scotland’s strikers at opposite ends of their career – Frank McAvennie making his debut, and Kenny Dalglish winning his 99th cap. 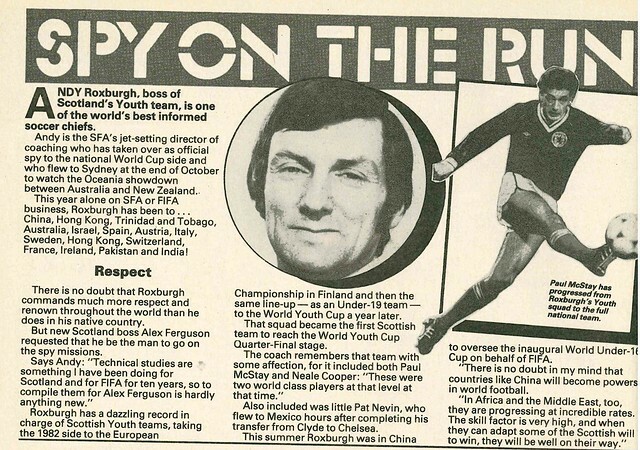 Talking of Scotland, Shoot looks at youth team boss Andy Roxburgh, and his globetrotting exploits in 1985. 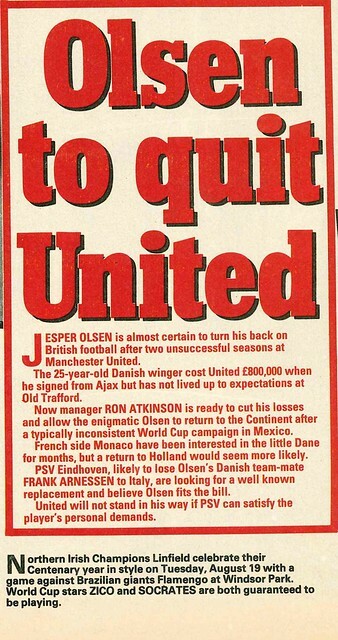 Most of those, were scouting trips. 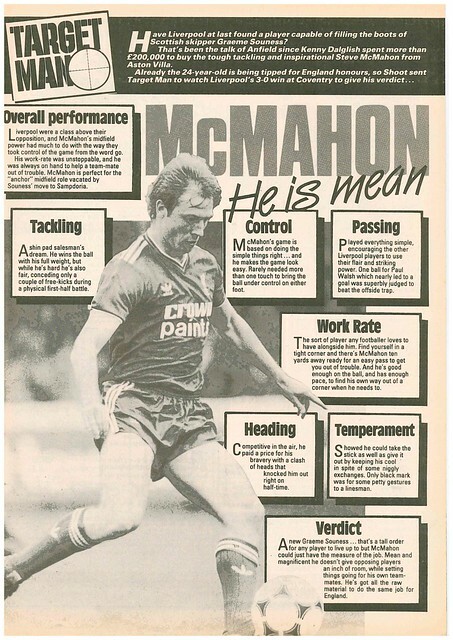 Talking of scouting, Shoot scouts Steve McMahon of Liverpool, describing him as a new Graeme Souness. 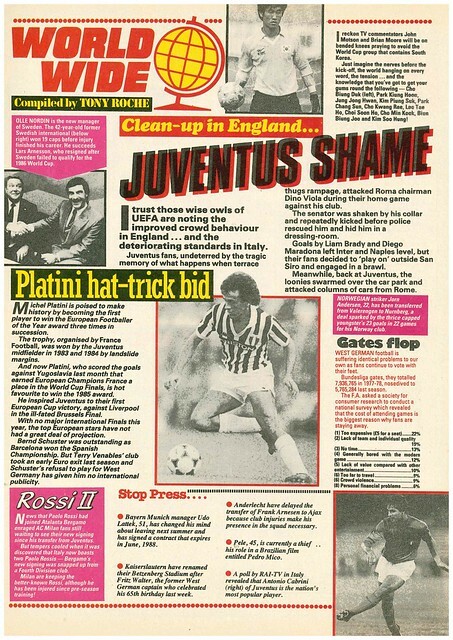 McAvennie is mentioned again, in Ian Rush’s column, who describes his as a great goalscorer, adding that his Wales team-mate Mark Hughes isn’t a great goalscorer. 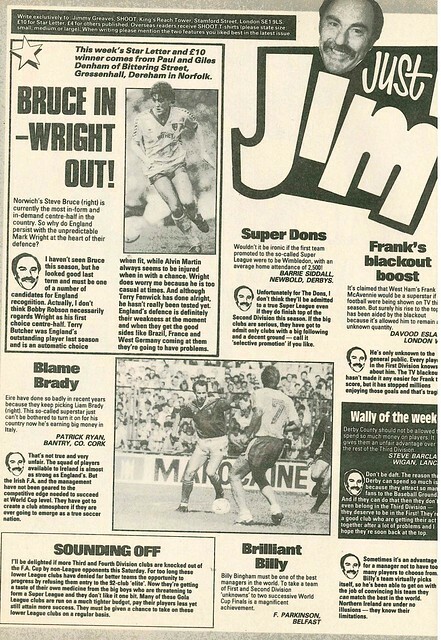 Jimmy Greaves gives his Star Letter award to Norwich City supporting brothers championing Steve Bruce’s case for a place in the England squad. 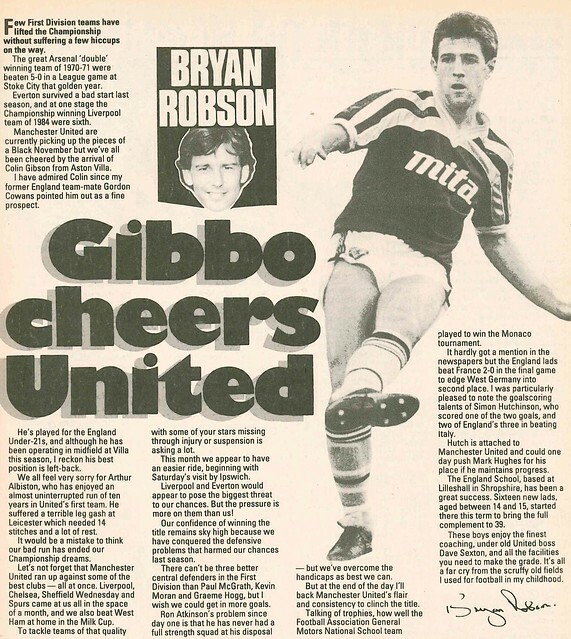 Bryab Robson uses his column to reveal that the signing of Colin Gibson has lifted the mood of everybody at Old Trafford. Bobby Moore has enlisted the help of various former West Ham team-mates as he aims for success as Southend United manager. The club are currently making plans to move to a new stadium at Rochford. 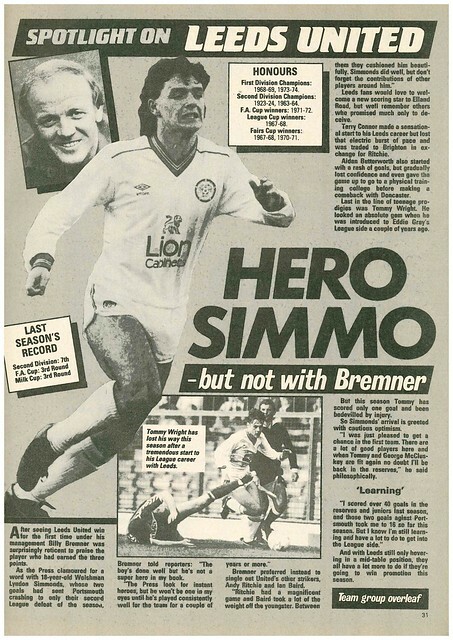 Leeds United get a Club Profile and Team Poster.